Mass spectrometry (MS) has been widely used in recent years for bacterial identification and typing. Single bacterial colonies are regarded as pure cultures of bacteria grown from single cells. In this chapter, we describe a method for identifying bacteria at the species level with 100% accuracy using the proteomes of bacterial cultures from single colonies. In this chapter, six reference strains of gram-negative and gram-positive bacteria are analyzed, producing results of high reproducibility, as examples of bacterial identification through the application of liquid chromatography–tandem mass spectrometry (LC-MS/MS) and a custom database. 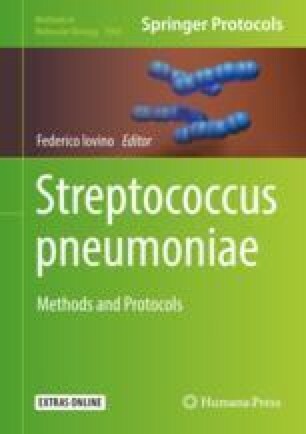 Details on sample preparation and identification of Streptococcus pneumoniae are also described. We thank Stuart McCorrister and Chris Grant in the Proteomics Core, National Microbiology Laboratory, Public Health Agency of Canada for creating the database and running the MS.